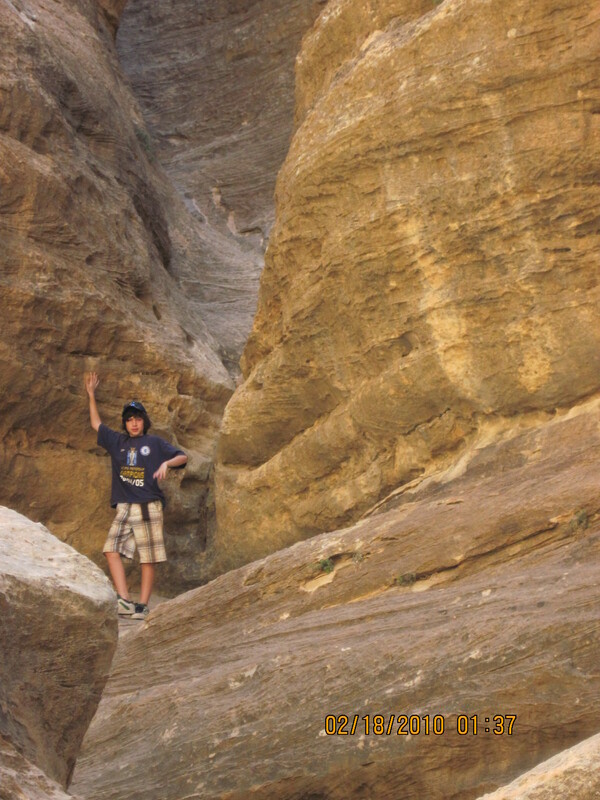 Earlier this year my wife, Liora and our 12 year old son, Benjy, went to Israel, Jordan and France. 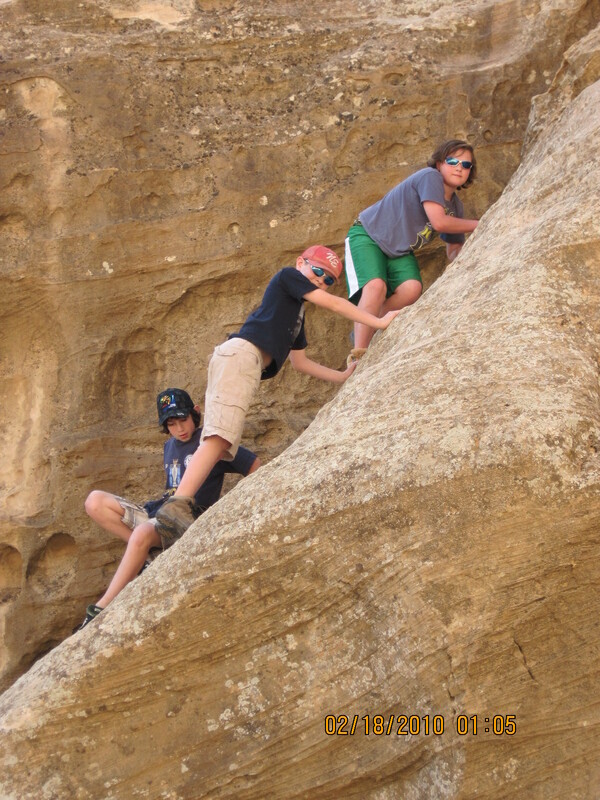 Here’s Benjy’s blog about their trip to Jordan. 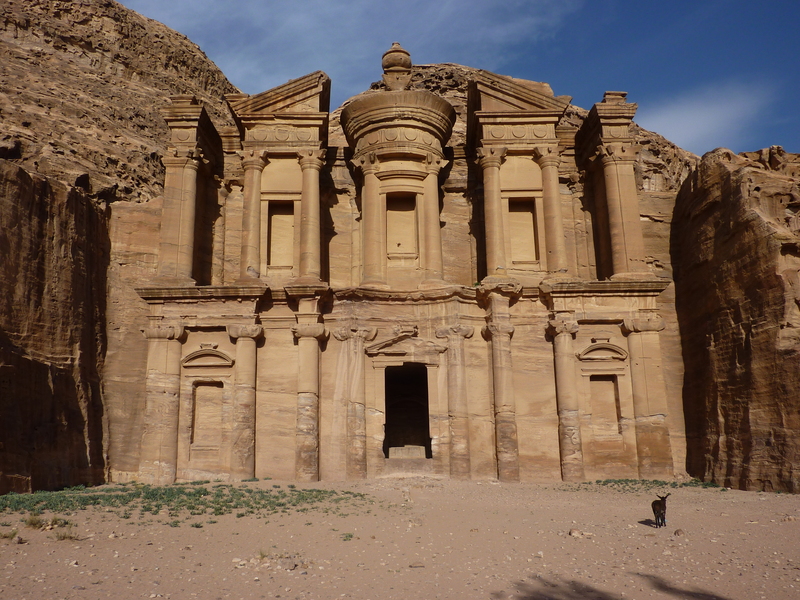 Today we leave Jerusalem to go to the sandy valley and ancient city of Wadi Rum and Petra. The first thing I know as I step off the plane is the HEAT. It hits me like getting slapped in the face, it is so intense. It’s the same heat we had at Angkor Wat in Cambodia where I learned you can have a great time even while you’re sweltering ! We step into the luxury of the air-conditioned taxi on the way to Jordan. After an uneventful trip across the border we take a taxi to the Bedouin camp in Wadi Rum where we’re staying. The first things I see are the giant red rocks and the giant sand dunes. 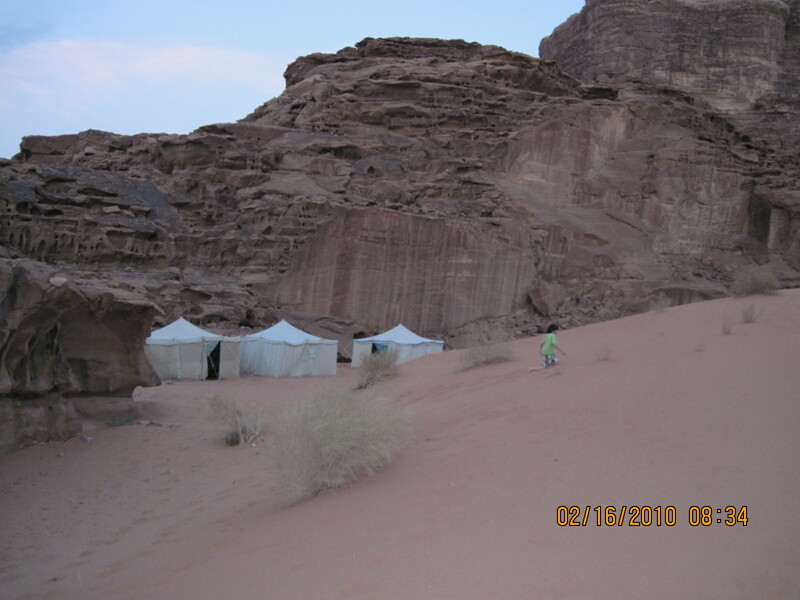 We reach the Bedouin camp in the back of a jeep and put our stuff down in tents. I run away to go play on the sand dunes as my mom unpacks. 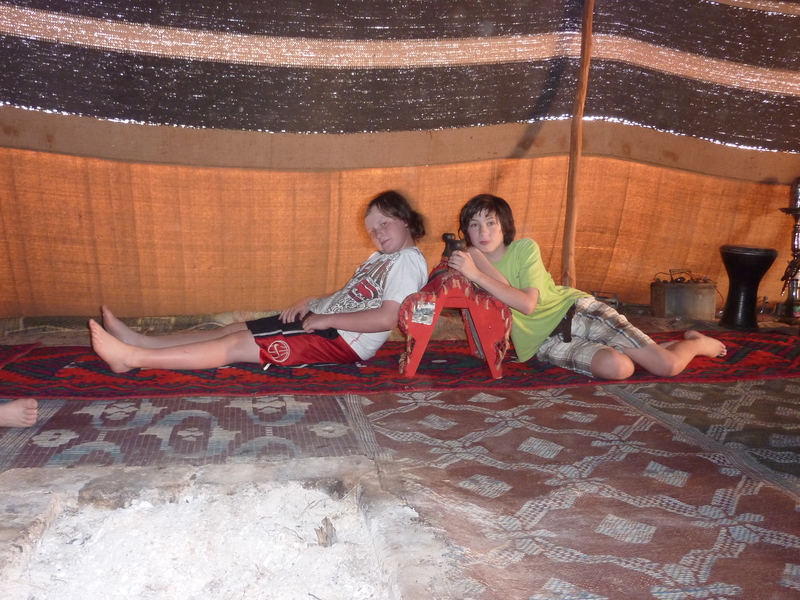 The next half-an-hour is spent playing on the sand dunes and then we (my mom and I) go into the main Bedouin tent for tea. A few minutes later we’re back on the jeep for our 4 HOUR ride. (It sounds like a lot but at the end all you want to do is go on it more.) 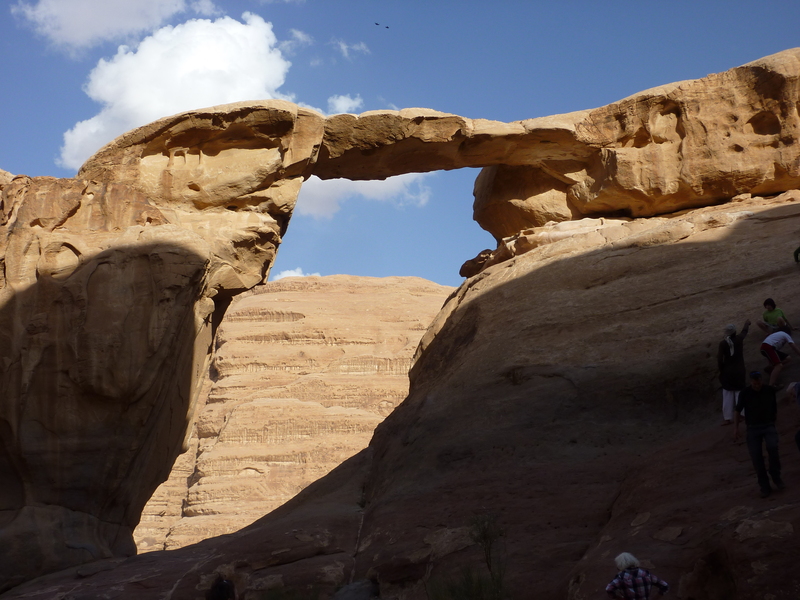 We start by seeing the house/rock structure that was used in the movie Lawrence of Arabia. (I haven’t actually seen the movie so I don’t know what we were looking at. Our travel pattern has to been to see the actual place first, and then try find the movie, usually sold for very cheap all around the actual site.) 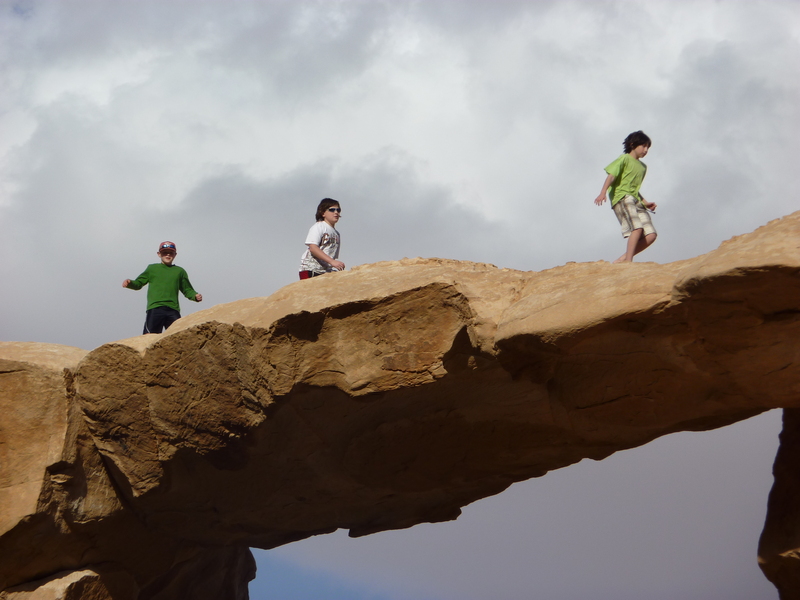 Then we go to this small hill/mountain with a natural bridge connecting the two sides. Other than the actual jeep ride, this is my favorite part. Then we start heading back on the fun bouncing rocky journey. On the way back we stop at the real village where Lawrence of Arabia stayed. (Once again I’m clueless at what we’re supposed to be seeing as I still haven’t seen the movie.) We get back to camp and have a delicious dinner of rice and chicken and vegetables. We sleep in tents on small very comfy “home-made” mattresses. 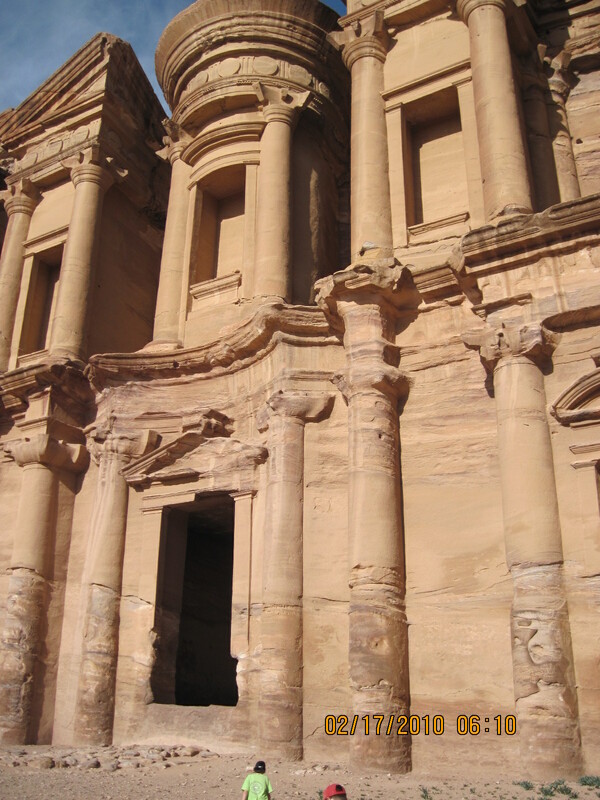 The next thing that awaits us is “The Red City” of Petra. We wake up early and have a traditional Bedouin breakfast (Pita and Hummus. You haven’t really had pita and hummus until you have it in the Middle East.) 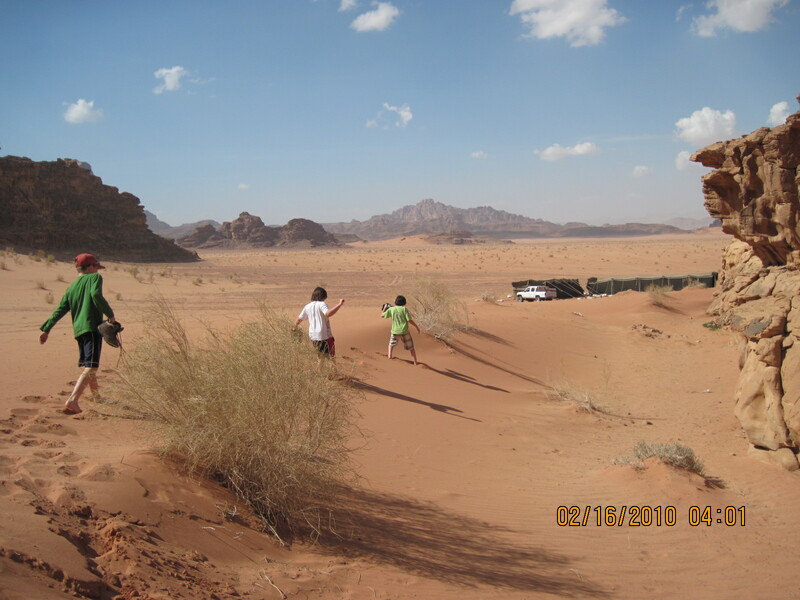 Next we pack up and head back onto the jeep on our journey to Petra. 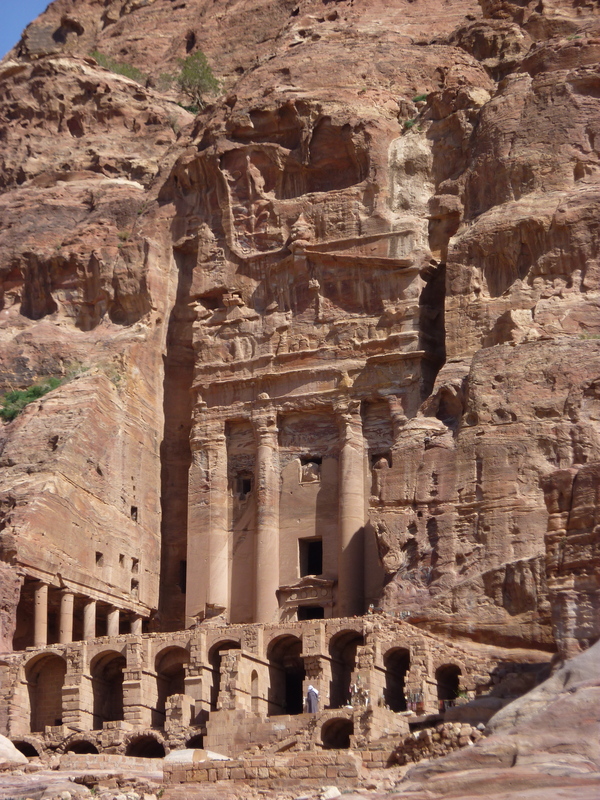 We arrive, check into our hotel and head out to Petra. We’re on a tour of the ancient city. 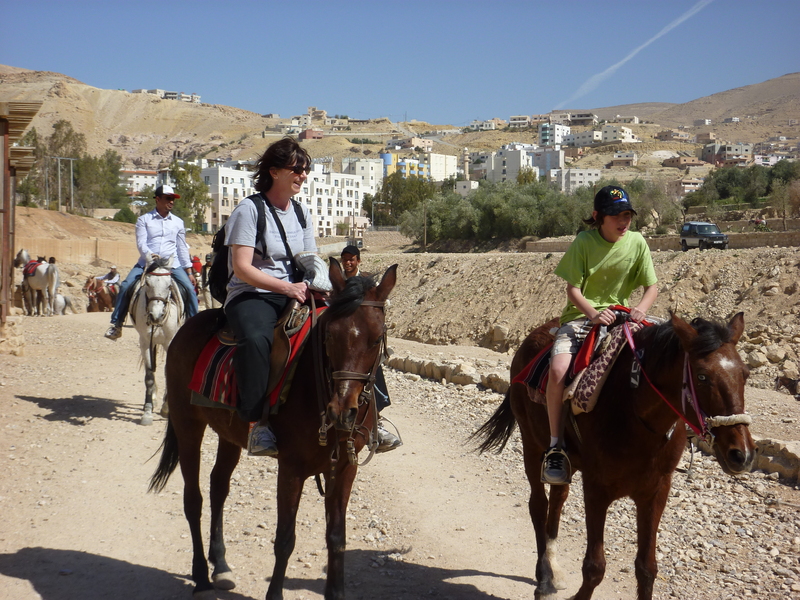 The first part of the tour is on horseback to the Siq. As a terrified 12 year old I’m looking at a long day. (I’m really a fairly regular 12 year old – I just hate horseback riding. My grandfather thinks that’s unfortunate because he wants me to become a jockey – I’m still quite small.) Fortunately it’s only a short ride, but my person leading the horse gets very upset because we don’t give him a big tip. 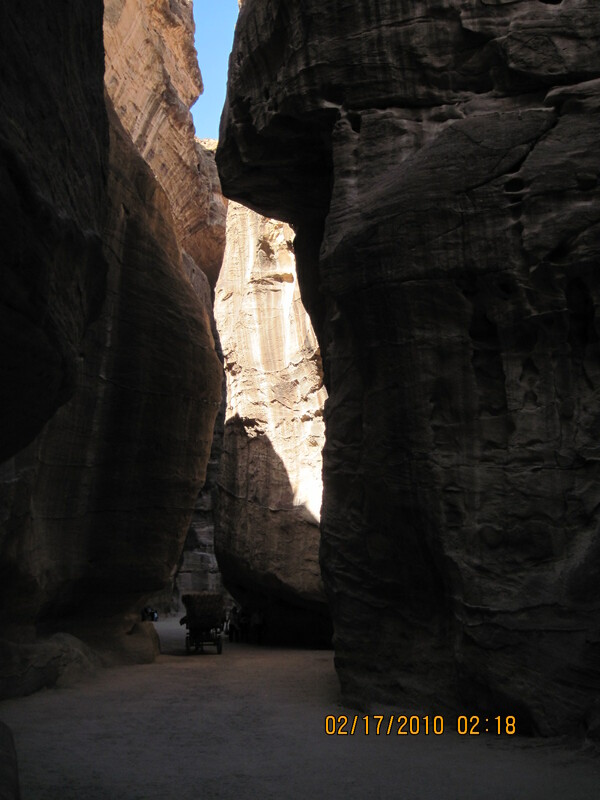 We start walking through the famous Siq as our guide tells us about the Nabbateans, the people who built Petra. The walls of the Siq around us are beautiful rocks carved out by water. The walls are so high with many twists creating a shock when we emerg to see the giant Treasury. The building was beautifully carved out of the stone with many different designs on it. Next we walk around seeing the royal tombs and a giant Roman amphitheatre that archeologists recently discovered. Next, our guide shows us a temple and then a few other small buildings before the tour ends. Lunch is in the temple. 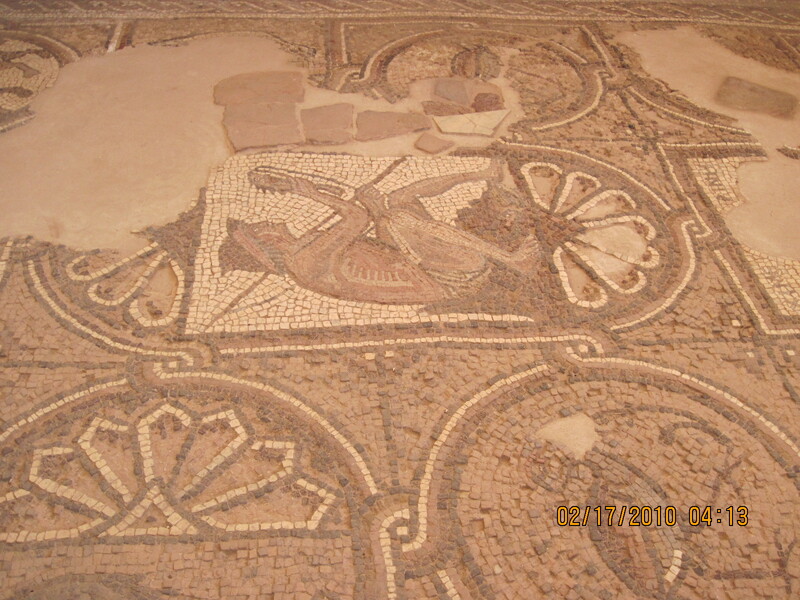 The temple has a mosaic floor with all sorts of pictures that look like anything from dragons to ice cream cones. After we walk around a bit we decide to ascend the 850 steps to the monastery (THIS IS A MUST-DO). The steps are beautiful carved granite, but it is boiling hot and very steep. As we finally come over the hill we look out to see a small building with some people by it. 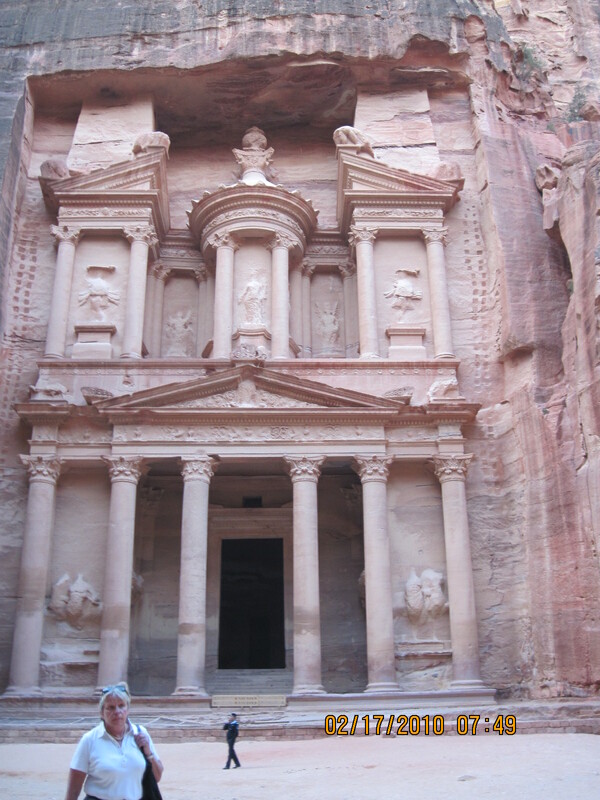 It’s very disappointing as people had told us it was the best thing at Petra. As I turn to read the sign about it I see a giant treasury type building except much bigger. 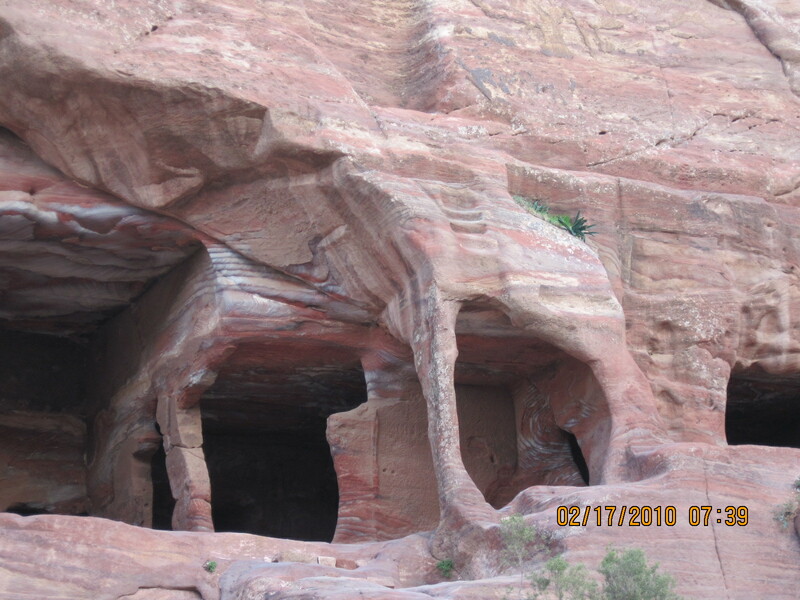 It not as fancy as the Treasury, but much bigger and also carved into the rock. Also this one you can climb inside to see one giant room with a big mosaic of a battle on the ceiling. As we come back down we can see the whole red city beyond us. 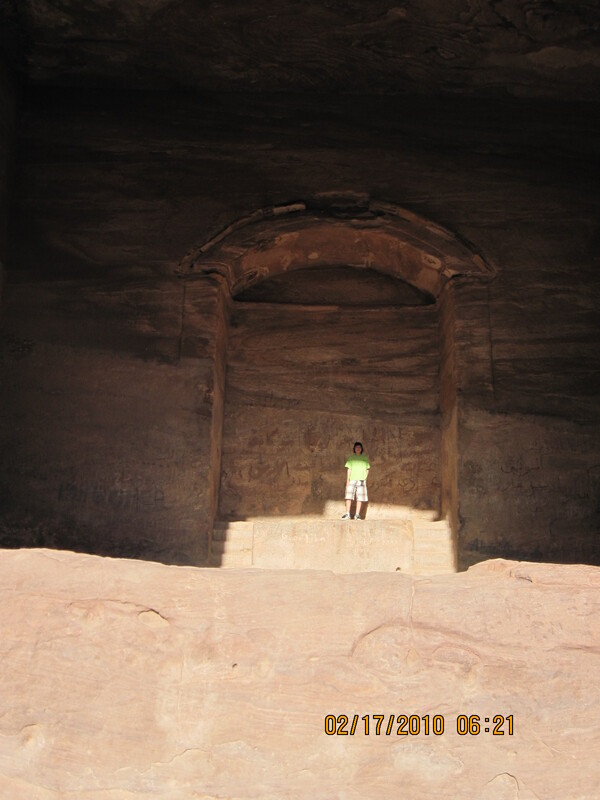 The last thing we did was go to the royal tombs and I climbed around in them. On one of the ceilings there was a huge mosaic of someone hunting. As we walked back to our hotel we saw the amphitheatre and lots of small buildings carved into the rock. We came back at night for ‘Petra by night’ except that was overrated and disappointing. Skip it. The only cool thing about it was seeing the Treasury all lit up. 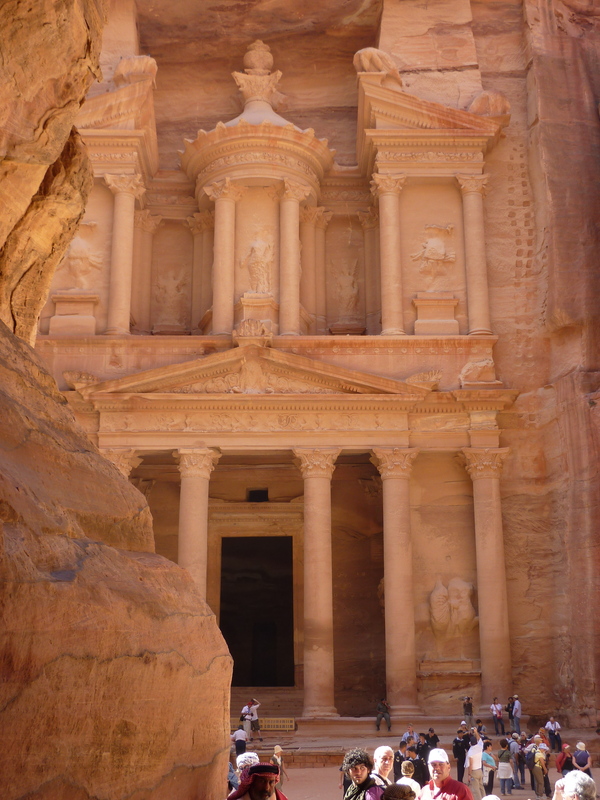 Overall though, if you are in the area I think Petra is a must-do and can’t be missed. 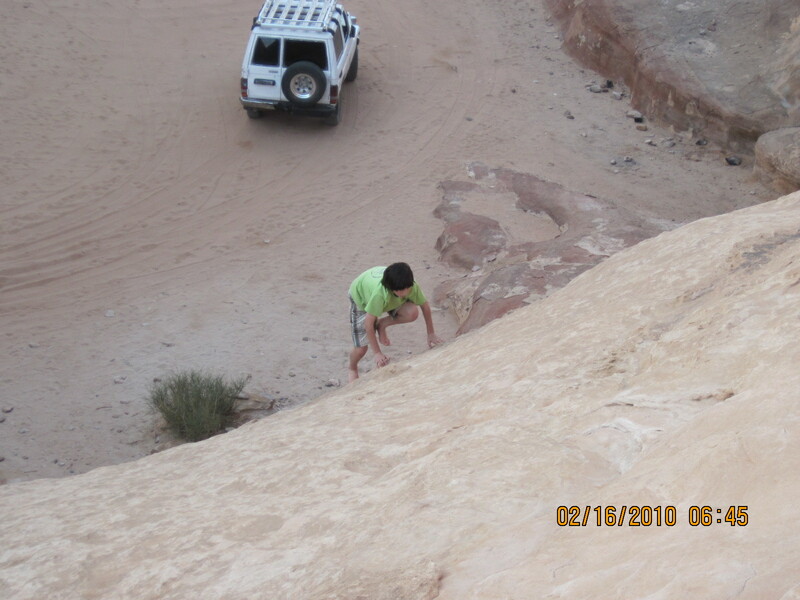 The following morning we went to little Petra and I had a fun time climbing on rocks. Then it was back into the taxi, and back to the border and finally, and back to Israel for the rest of our trip.